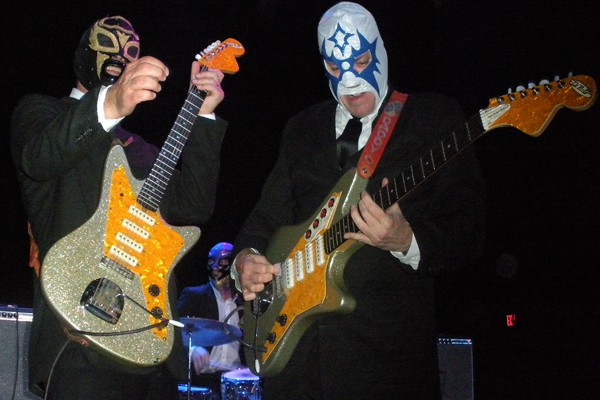 Los Straitjackets: ¡Viva La Instrumental! 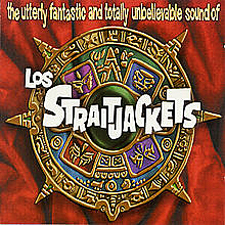 Bless those masked marauders, Los Straitjackets, whose first two albums – 1995’s The Utterly Fantastic and Totally Unbelievable Sound and 1996’s ¡Viva Los Straitjackets! – would give the instrumental an outsized and much needed shot in the arm. 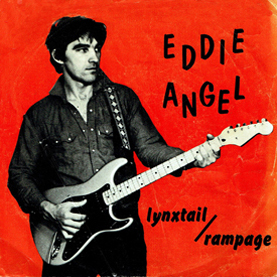 Eddie Angel – noted rockabilly guitarist with Tex Rubinowitz and the Bad Boys, and later, the Planet Rockers, Neanderthals & Eddie Angel’s Dinosaurs – and Danny Amis – guitarist for (Twin/Tone’s) Overtones and The Raybeats, and later, engineer for the Grand Old Opry and Hee Haw – would link up with Nashville session drummer, Jimmy Lester, to form an (unmasked) aggregation as The Straitjackets in 1988 that played locally for a few shows. In 1994 when the trio reassembled, Danny Amis would introduce the wrestling masks – and thus, Los Straitjackets. Conan O’Brien, an early fan, would have the group perform fairly regularly on his Late Night show, one appearance each for the first two albums. By the late 1990s, Conan would have Los Straitjackets perform Christmas songs during the holidays. 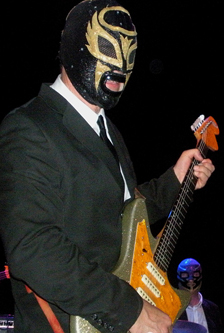 2003 would find Los Straitjackets as Grammy-nominated artists for their collaboration with Eddie “The Chief” Clearwater on Rock ‘n’ Roll City. 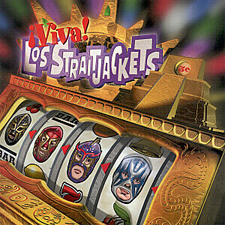 Hard to believe that Los Straitjackets are over 20 albums into their career. 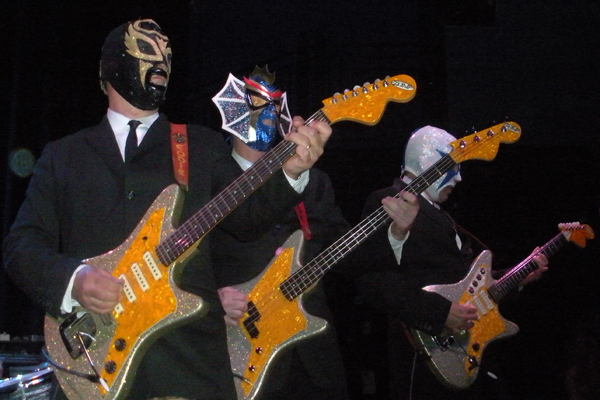 More recently, Los Straitjackets would join forces with Southern Culture on the Skids and The Fleshtones in 2013 for Halloween stocking-stuffer, Mondo Zombie Boogaloo. The Straitjackets would also reveal themselves to be surprisingly nimble breakdancers in their video for 2012’s “Brooklyn Slide” – from standout album, Jet Set. 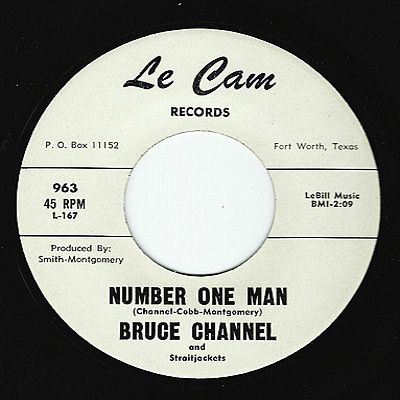 This instrumental band, it bears noting, is not afraid to collaborate with vocalists, and has worked in the past with such singers as Big Sandy, Freddy Cannon, Mark Lindsay, Exene Cervenka, Dave Alvin, and Deke Dickerson, most recently, who teamed up with Los Straitjackets in 2014 to record an album of famous instrumental songs with lost or rewritten lyrics – such as “Apache,” “Sleepwalk,” “Popcorn,” and even “Hawaii Five-O” (see Sammy Davis Jr.’s 1976 vocal A-side). Link to Eddie Angel interview from the Rockabilly Hall of Fame website — Eddie Angel’s own discography available here. 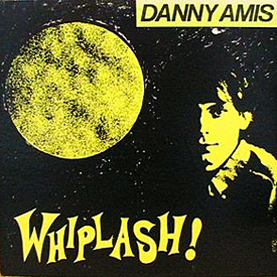 Also, Danny Amis tells the LA Weekly that the Mexican surf scene is “by far bigger than anyone else’s in the world.” Amis – or, “The Godfather of Mexican Surf” as he is also known – reports in his bio that over 50,000 fans attended each performance at Mexico City’s Foro Sol. Check out the band’s back catalog at Yep Roc. Q: Is there a back story behind the inspiration to “Lonely Apache” (e.g., did the song come to you in a dream)? Q: Curious to know why “Lonely Apache” was not included on your first album even though I recall hearing it at some of your earliest shows (if I’m not mistaken)? A: i can’t recall…i think i didn’t play it for the other guys until after we had recorded our first CD. Q: Do you get any particularly strong reaction to that song [which, by the way, is Eddie’s mother-in-law’s favorite] when you play it live? A: hmm, i don’t think so, but we don’t play it often…i guess we should tho, huh. Q: Where are some of the more far-flung (or “surprisingly distant”) places that the Straitjackets have played? A: australia, moscow, helsinki ….moscow was the by far the weirdest. we had a 2 week residency at a club called chesterfields and we lived in an apartment a block from red square, it was in 1998 and it felt like the wild west there. Q: How much support were you getting from Upstart/Rounder during those early years? Is Yep Roc treating you guys well? A: upstart was great, they really helped us get going on those early tours and they got our songs in movies and tv, one of the upstart guys is now our manager jake guralnick…yep roc is a really good label and they’re friends of ours, the owners used to work for rounder (upstart was part of rounder). Q: I get the sense that being a band that primarily plays instrumentals (when not touring with a vocalist like Big Sandy) means that your music is able to transcend language barriers that might inhibit the reach of more traditional bands that sing vocal tunes – is this in any way true? A: i think its true in mexico, that’s where we have our largest audience by far. in mexico we’re credited with starting a new genre of music, “surf mexicano”…surf instros with mexican wrestling masks and one big difference is young kids are into it, its almost like punk rock there. Did the Straitjackets Unknowingly Back Bruce Channel in 1962? Bruce Channel … and Straitjackets?! Belated tip of the hat to Bill Hanke for putting this band on my radar from the earliest.